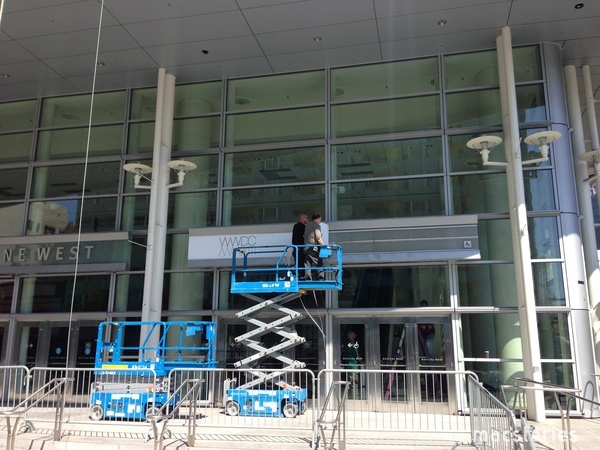 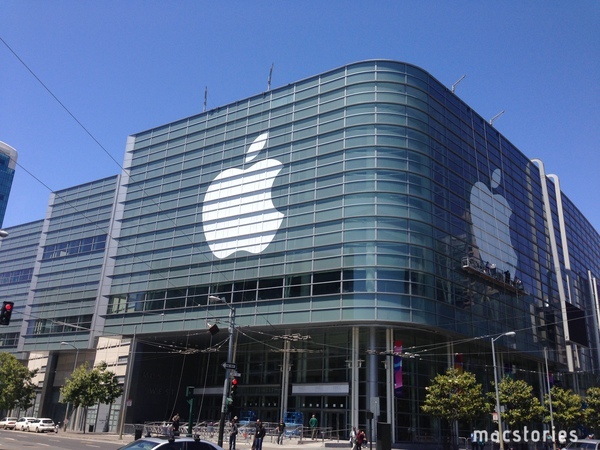 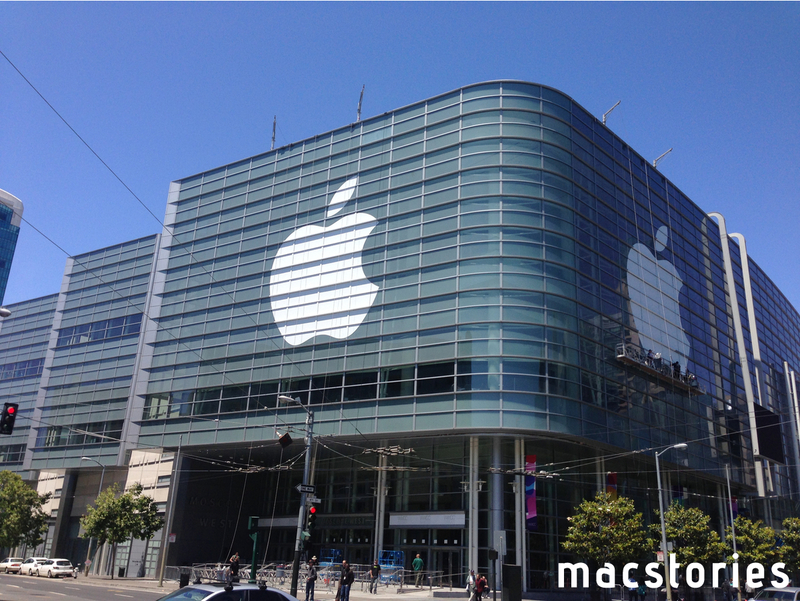 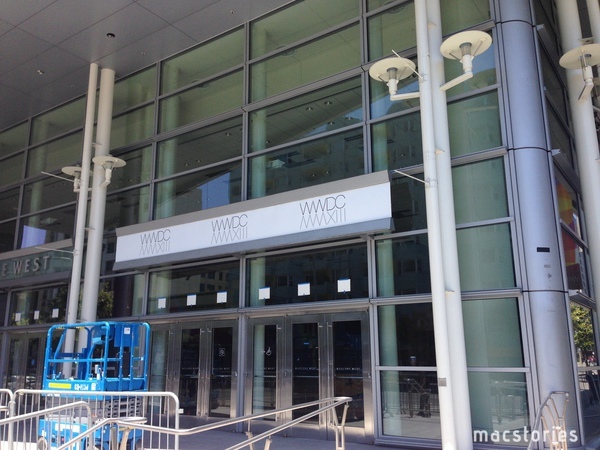 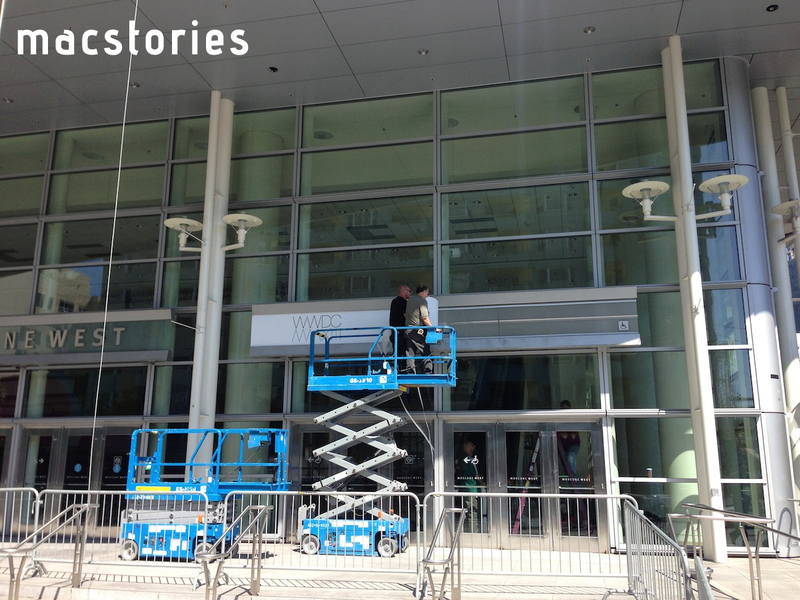 With WWDC 2013 kicking off in San Francisco on Monday, Apple has today started decorating Moscone West for its five-day event. 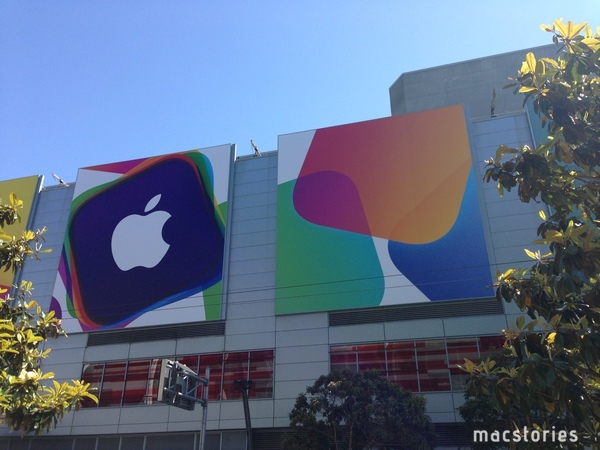 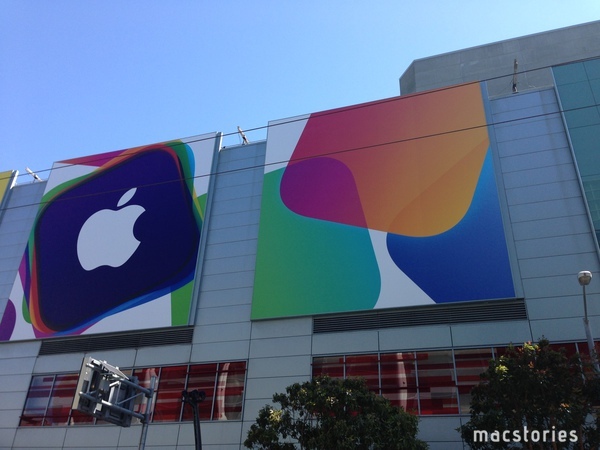 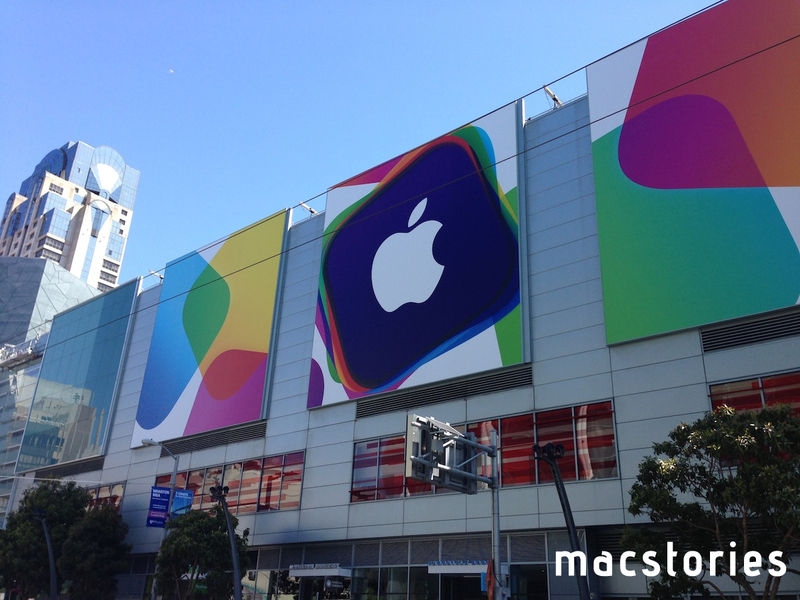 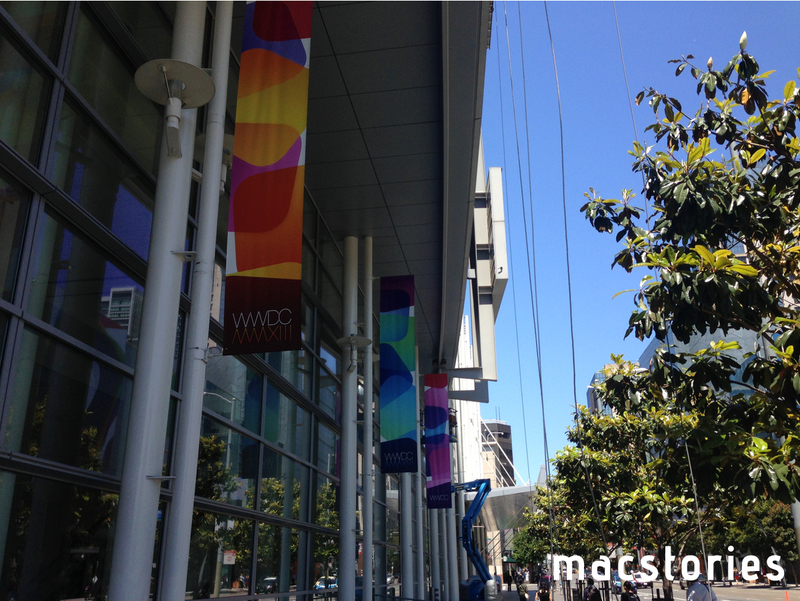 Last year, with WWDC starting on June 11, Apple began Moscone preparations on June 5, showing off colorful banners with app icons and, in the process, confirming iOS 6's official new icon ahead of the conference. 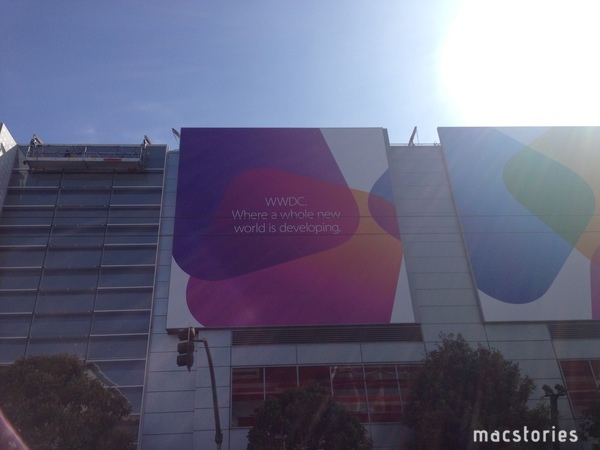 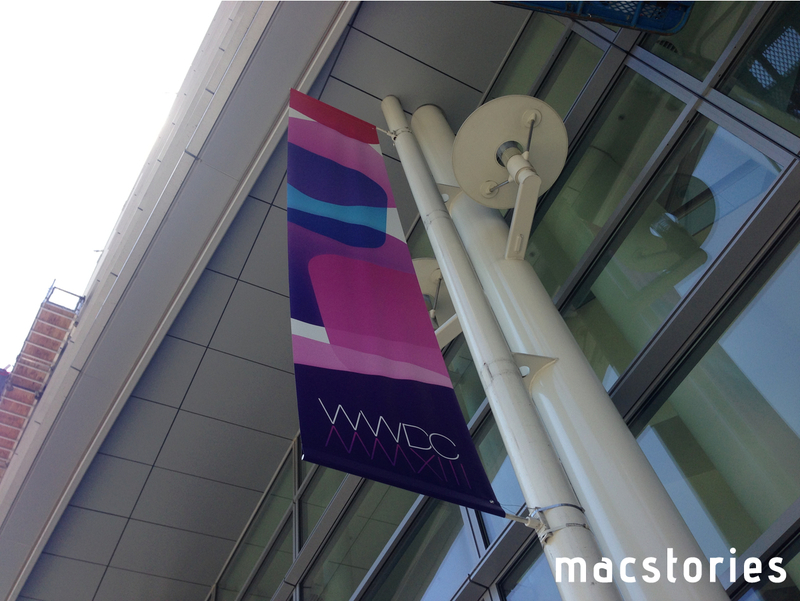 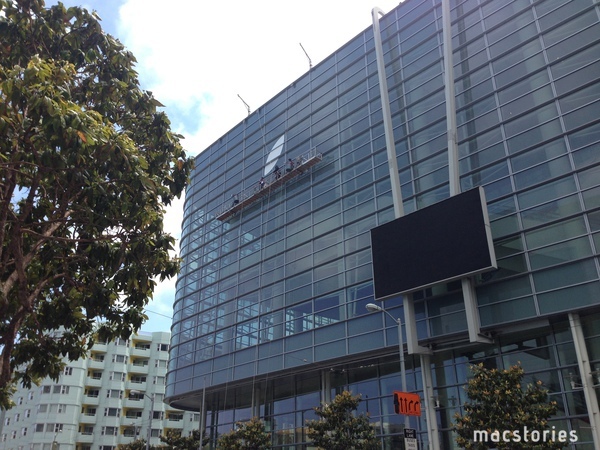 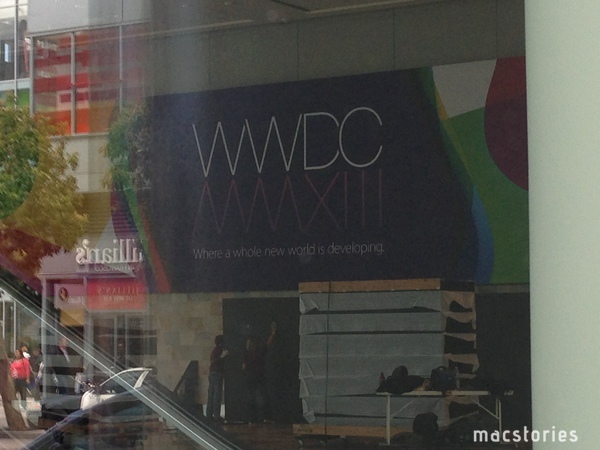 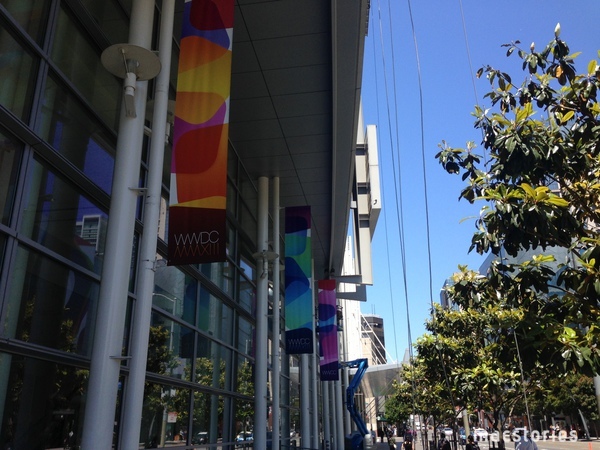 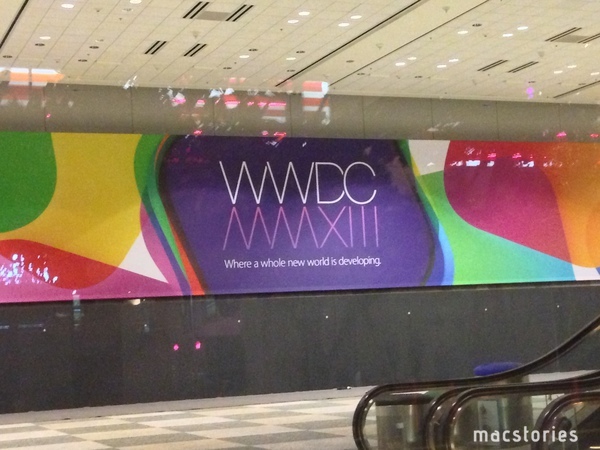 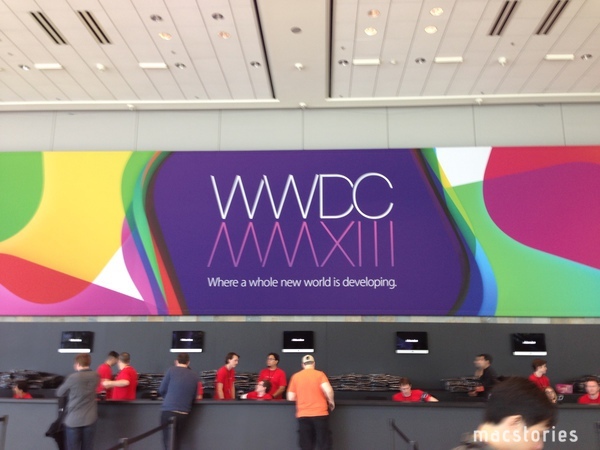 So far, banners put up by Apple at Moscone West are showing the same colorful graphics of the official WWDC 2013 logo that Apple unveiled in late April. 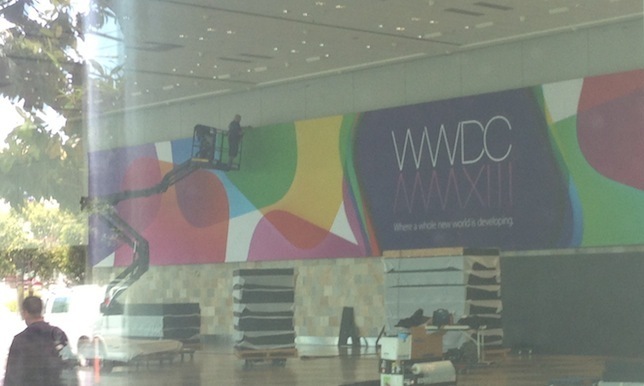 While much has been said about whether the WWDC logo may hint at a visual refresh in the next versions of iOS and OS X, the shape used by Apple is simply reminiscent of iOS app icons – something that Apple has often used for WWDC banners. 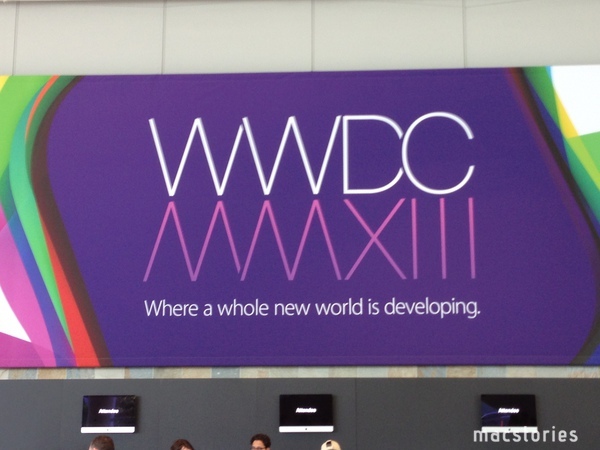 This year, Apple is using the "Where a whole new world is developing" tagline for the initial set of banners. 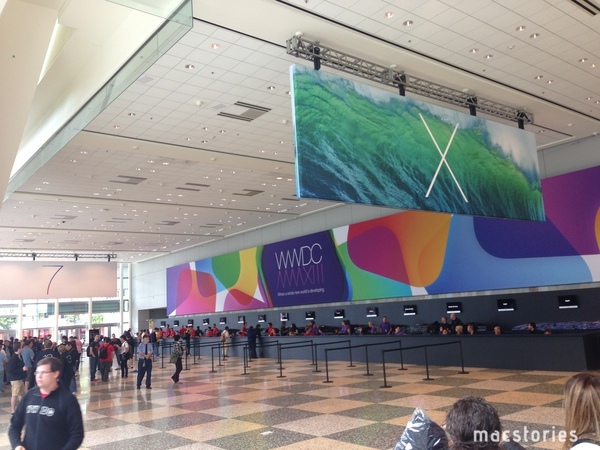 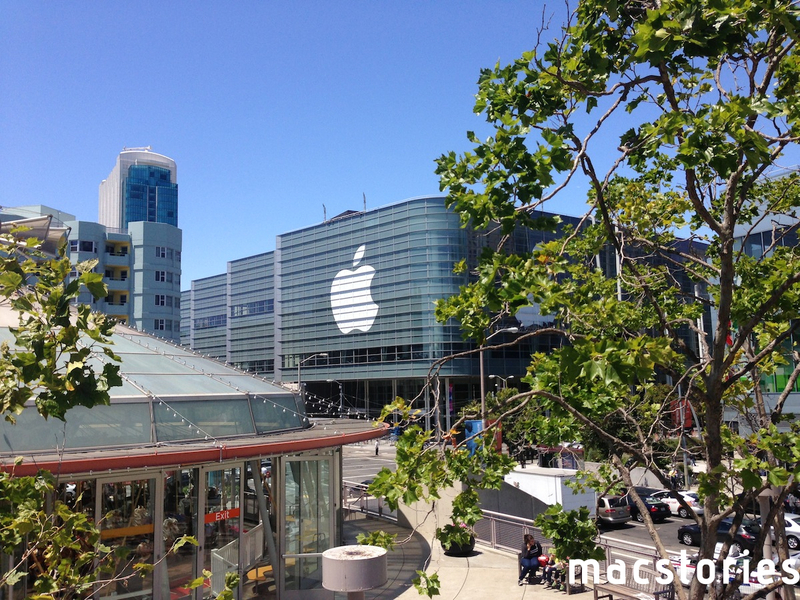 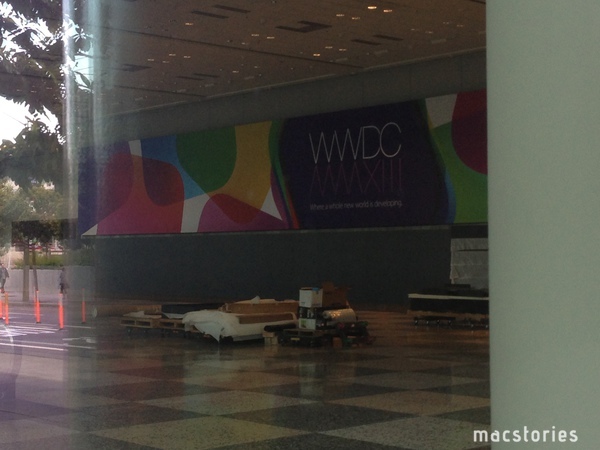 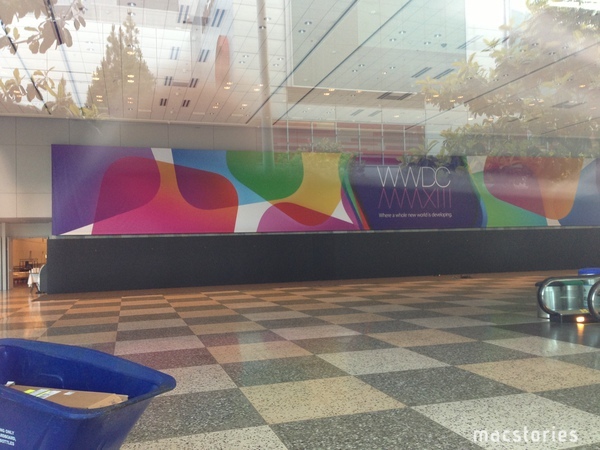 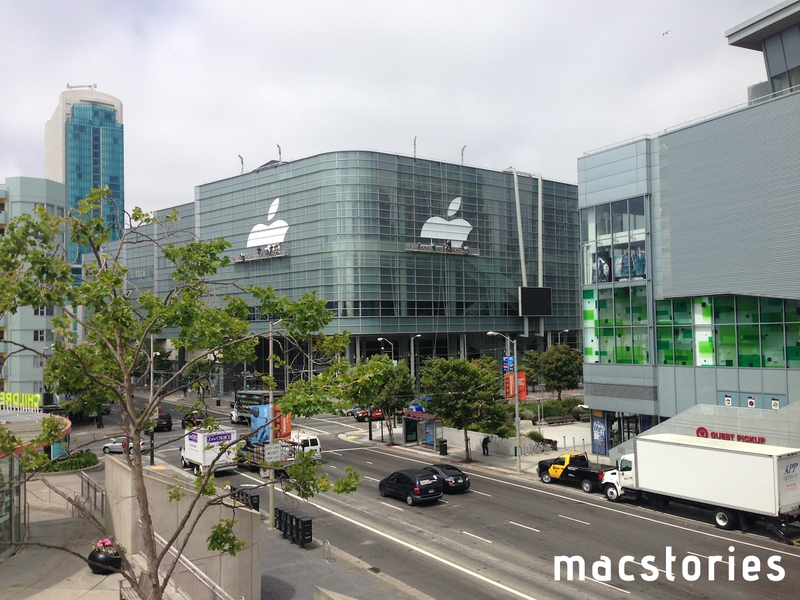 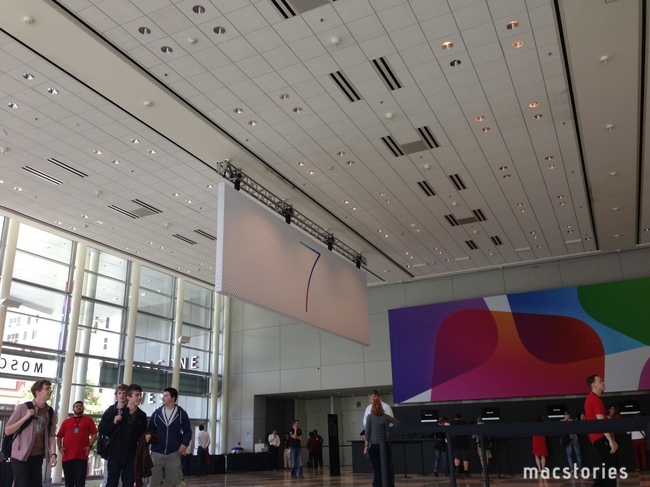 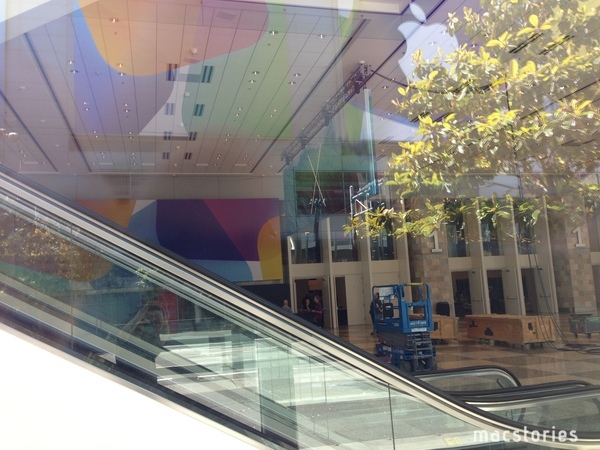 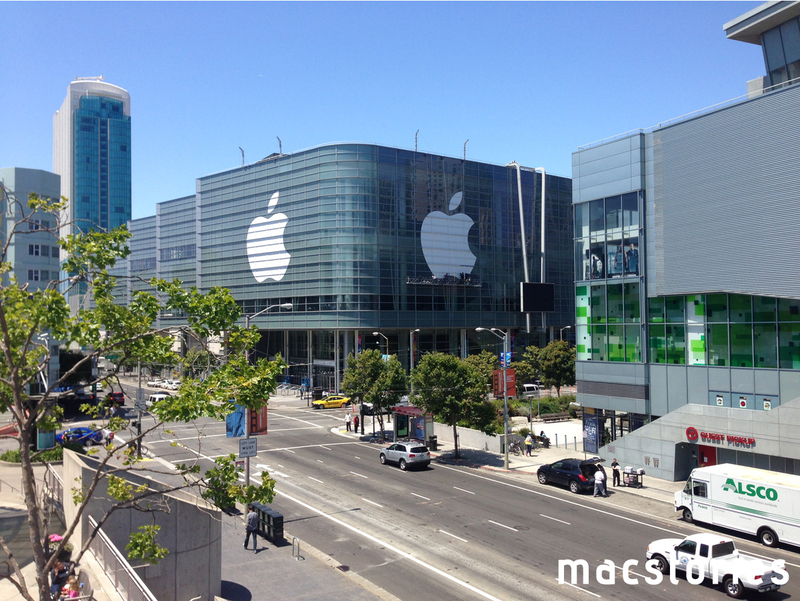 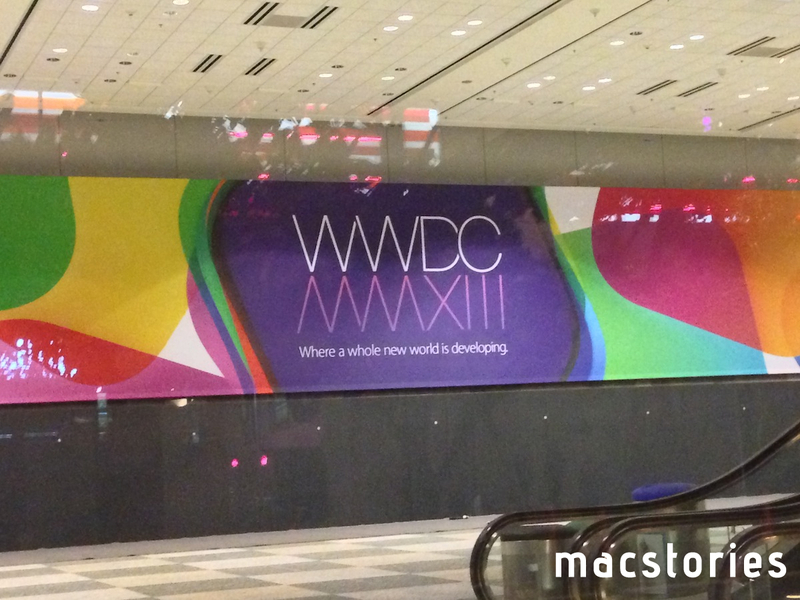 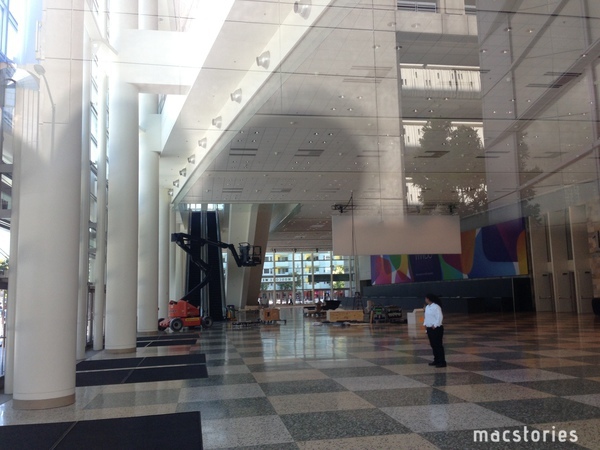 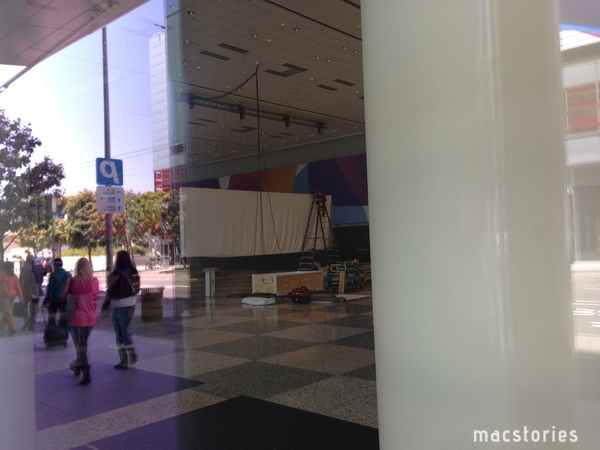 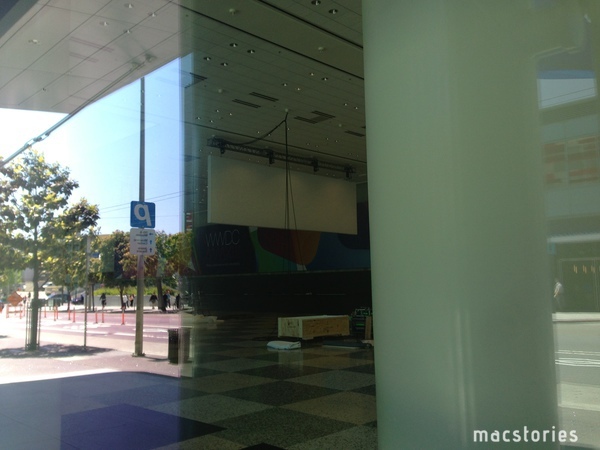 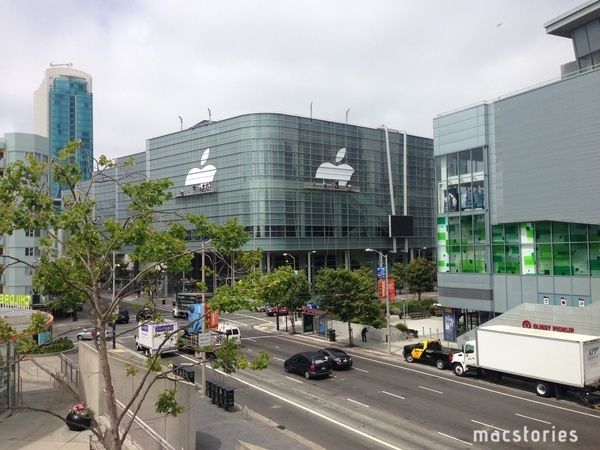 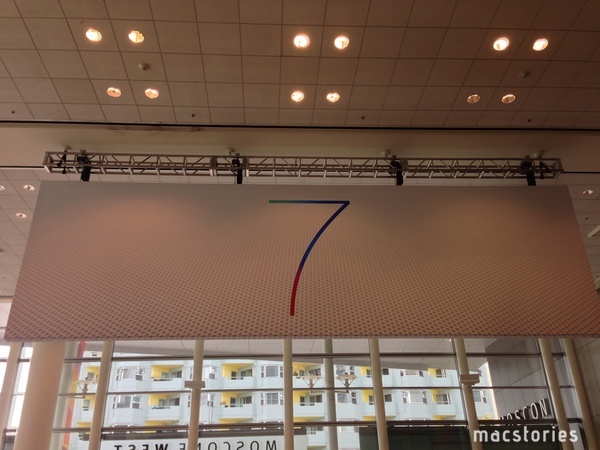 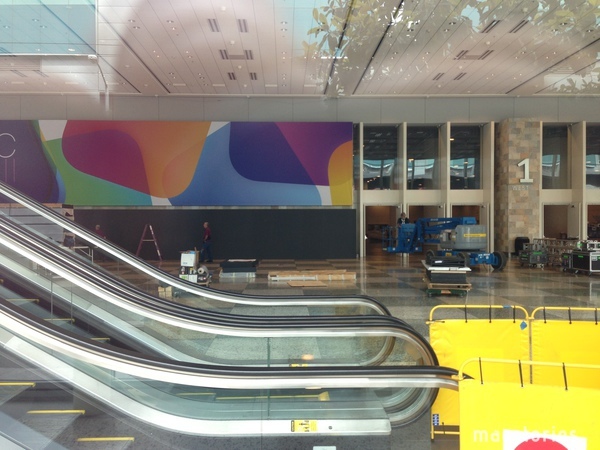 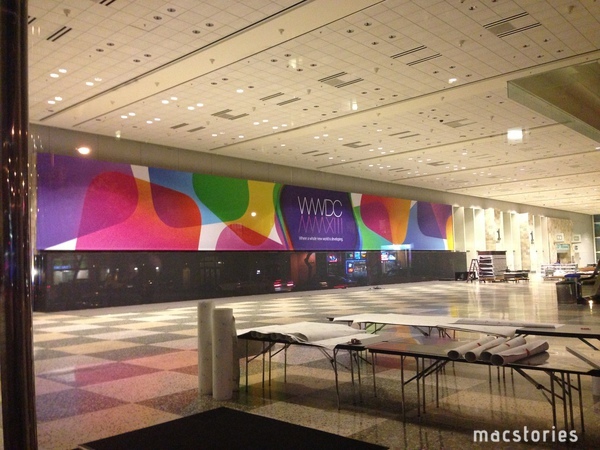 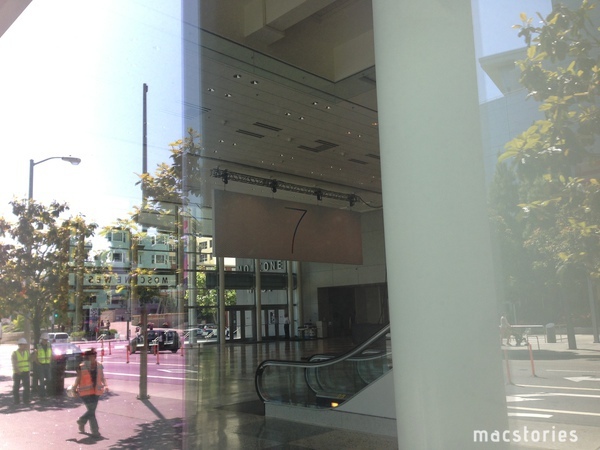 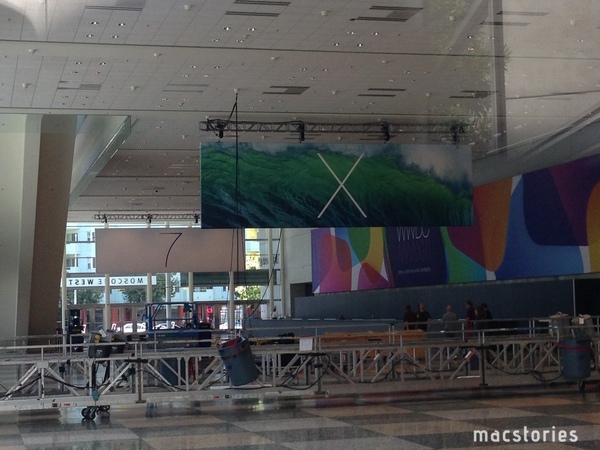 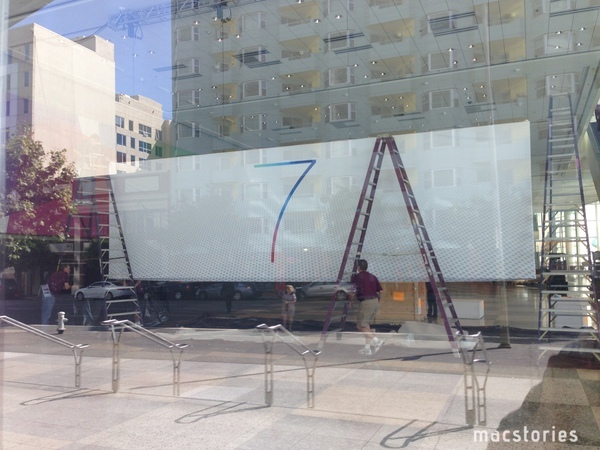 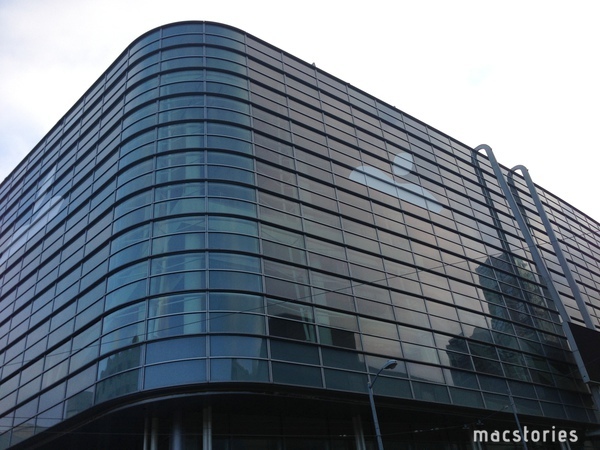 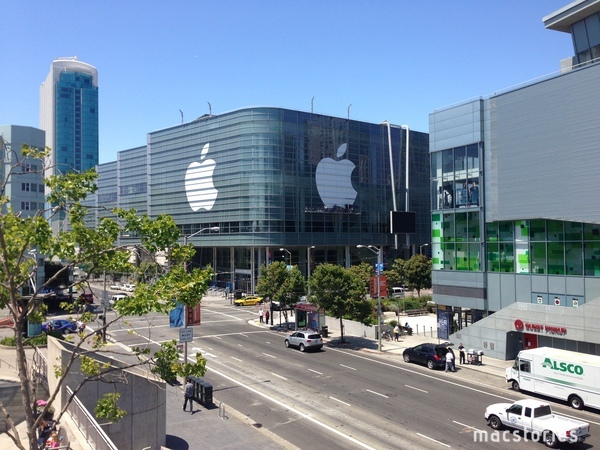 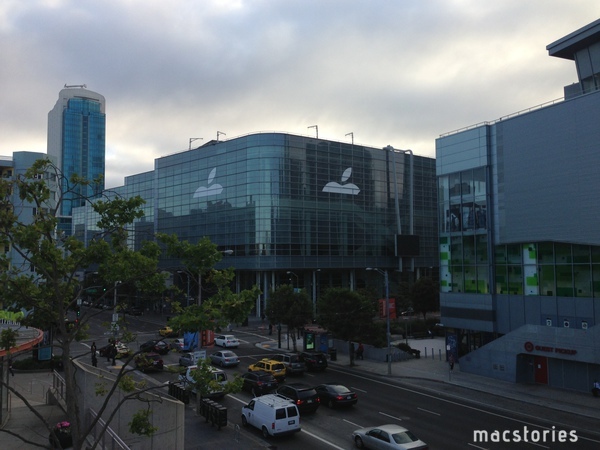 We're receiving the first photos from Moscone West, and we're including them after the break. 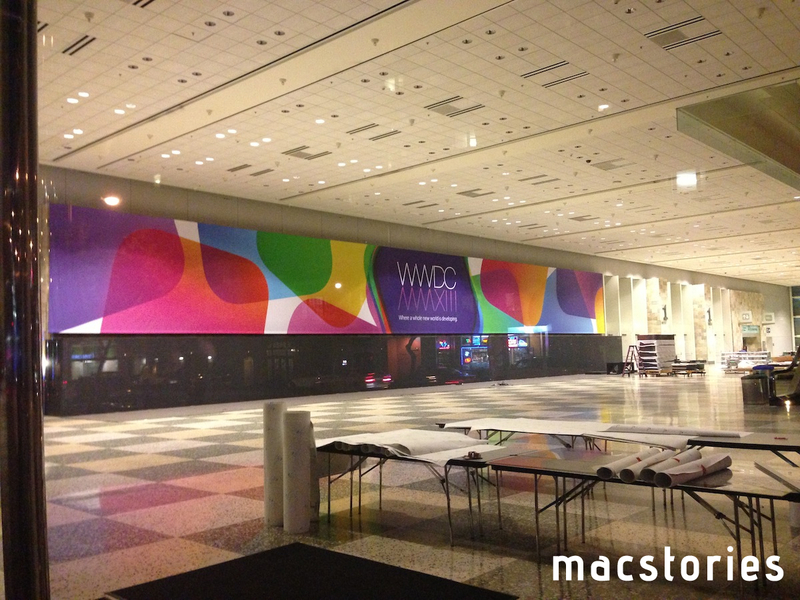 We will update this post with more photos as we receive them throughout the week. 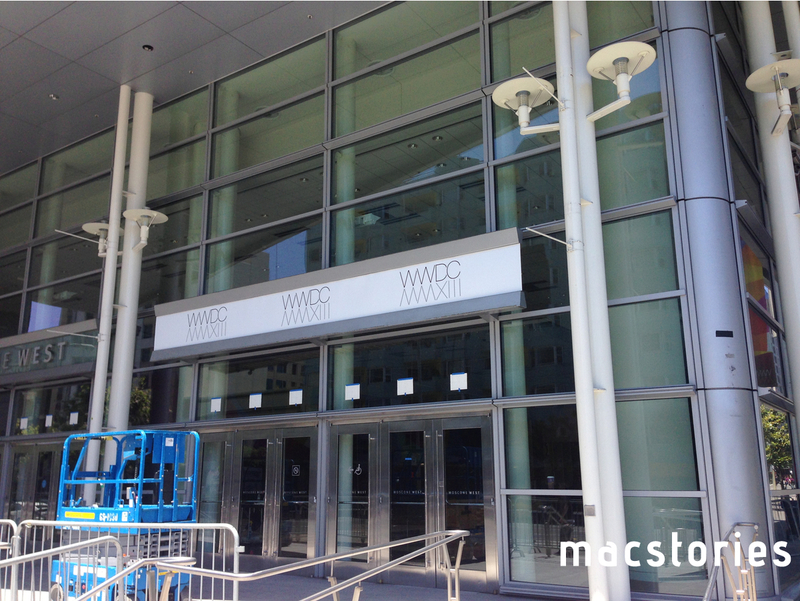 With WWDC registrations now open at Moscone West for developers, here's the final set of photos from inside the building. 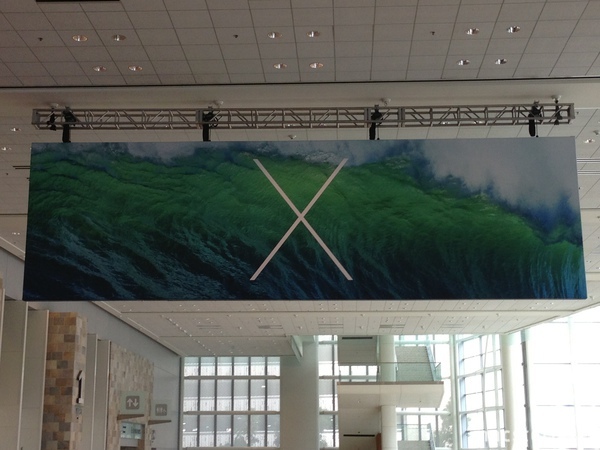 A banner has been covered with white fabric. 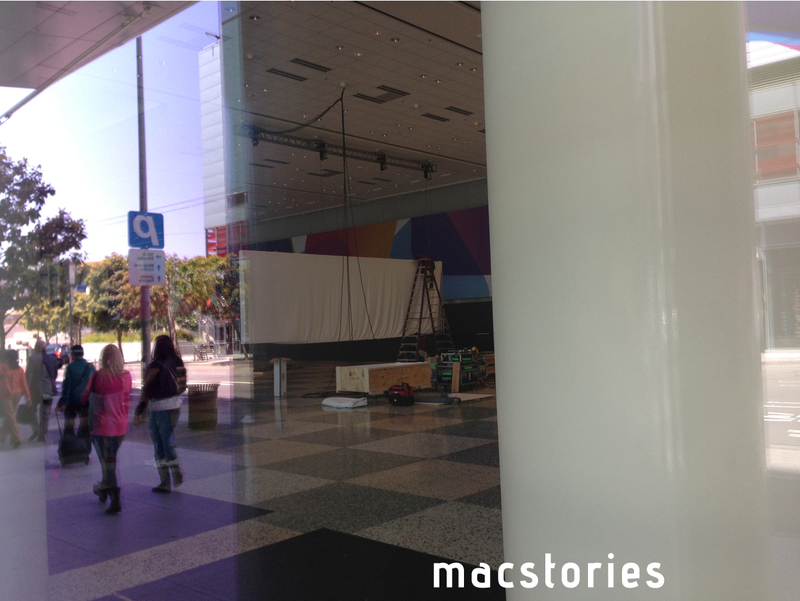 Blank backings for banners that will possibly be covered, as in previous years.